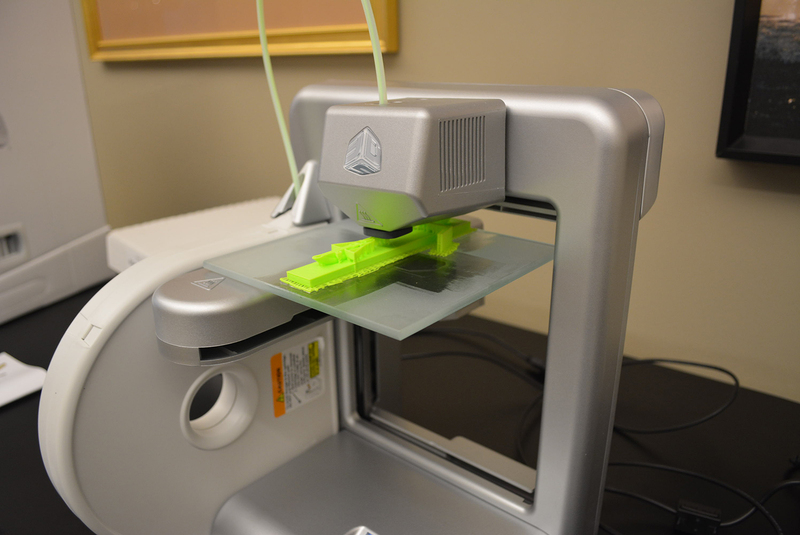 On Wednesday, October 2nd the Fort Wayne Museum of Art received a brand new 3D printer courtesy of 3D Systems! This gift came about because of our affiliation with the Alliance for Young Artists and Writers, the non-profit organization that runs the Scholastic Art and Writing Awards program. One of the new award categories of the Scholastic Awards program is called Future New Creative Concept, which asks students to submit boundary-breaking work that falls outside the definitions of the other categories. 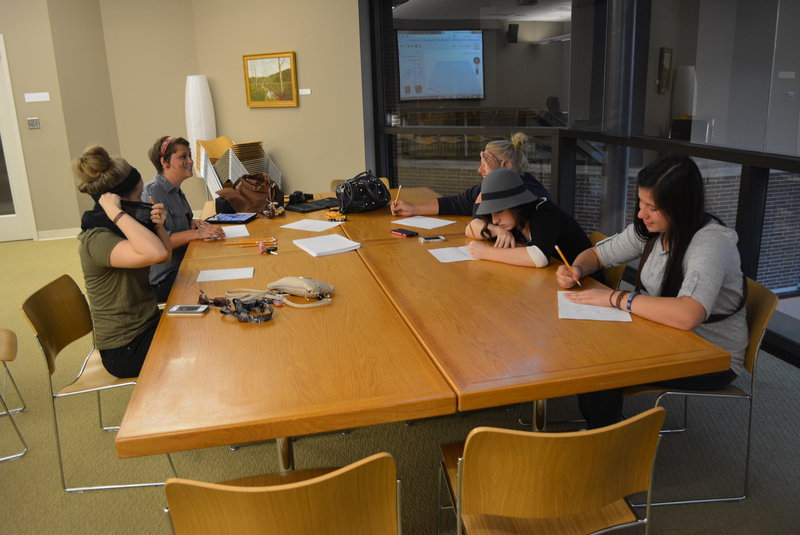 It stresses the use of new media, collaboration, and experimentation. 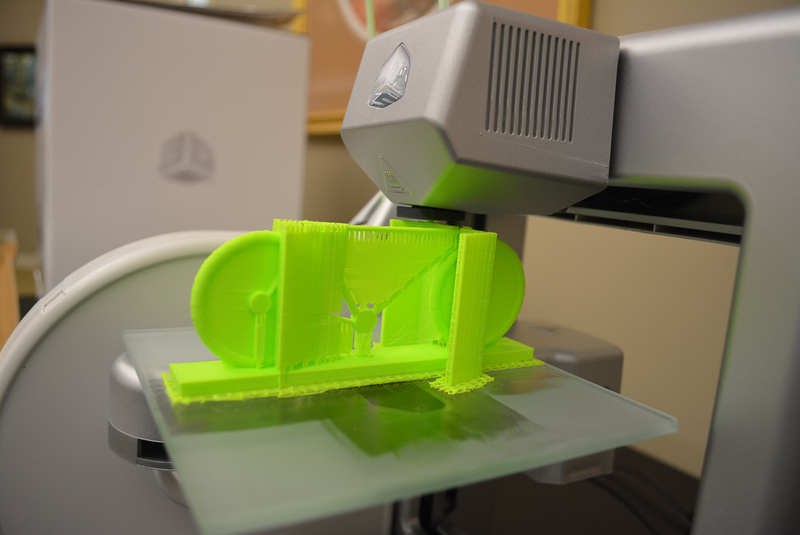 To promote this new category, the Alliance for Young Artists and Writers partnered with 3D Systems to distribute 25 3D printers across the country. 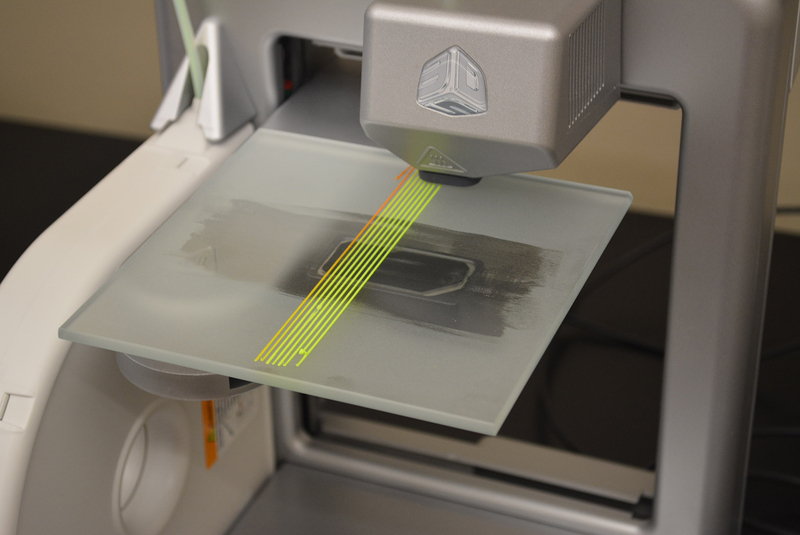 3D printers have been around for a while, but only recently have they become more readily available and affordable to the public. 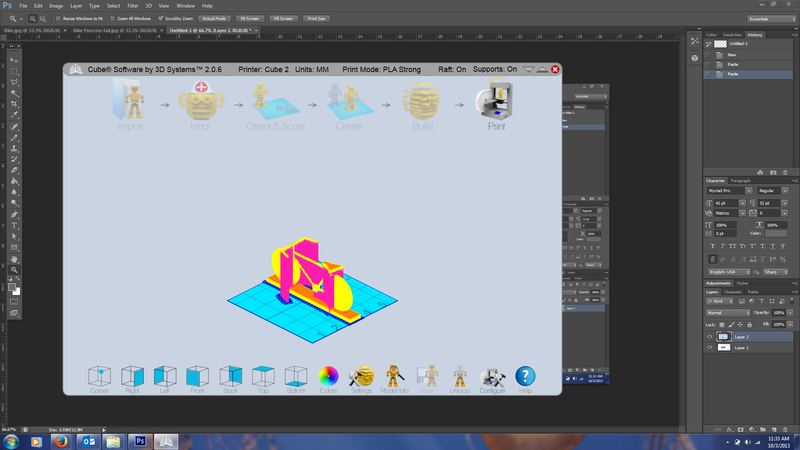 Having a 3D printer affords us the ability to modernize art education and inspire those who want to enter the budding industry of careers in 3D design. 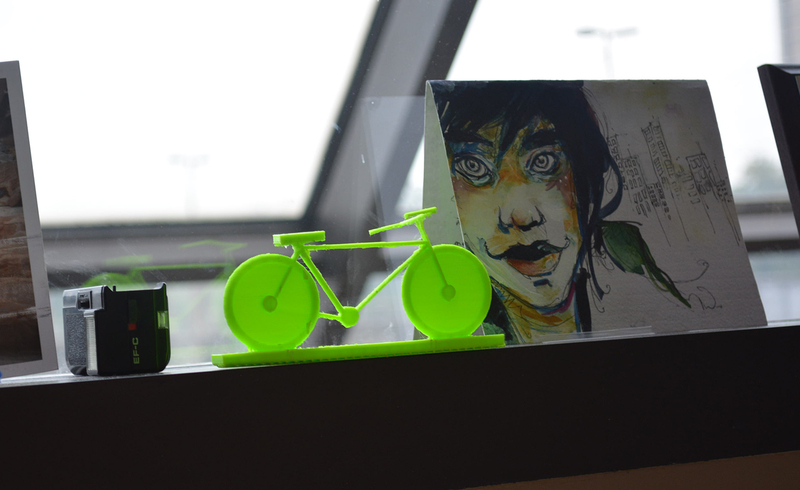 For those who do not know, a 3D printer can print something based on a digital design, like a coffee cup (or the mini-bike featured here), using strings of plastic that are heated up and distributed layer after layer through a nozzle. Think hot glue gun, except the glue gun is suspended on a device that moves across an X/Y plane and layers the glue over and over again until it builds up into something 3-dimensional. 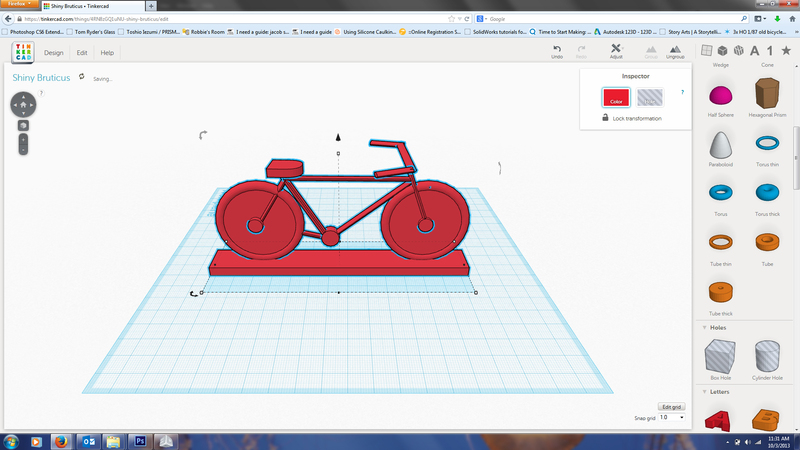 Another great free program called Tinkercad (https://tinkercad.com/) created our mini-bike. Needless to say we are extremely jazzed about our new addition and introduced it to high school students at the first Art Club meeting of the school year. For those interested, the next Art Club meeting will be Wednesday, October 30th from 5:00-6:30pm where we will continue to incorporate the 3D printer. 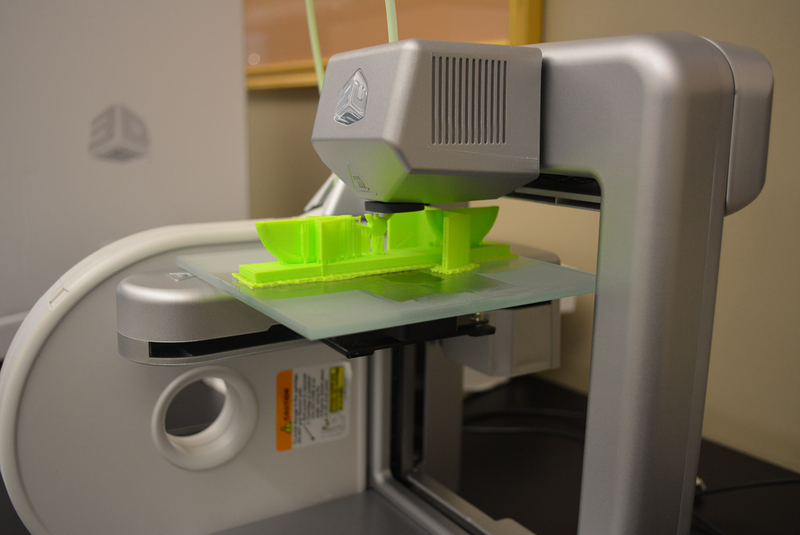 We are hoping for at least 5 students to submit pieces to the Scholastic Awards Future New category that utilize the 3D printer. 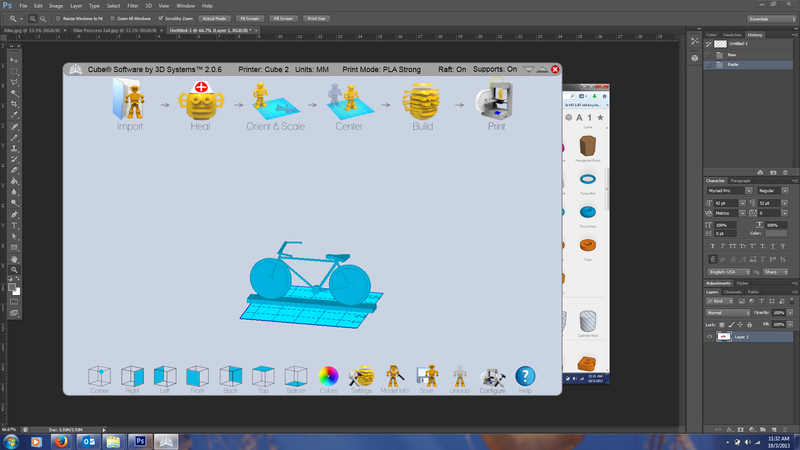 So get inspired, download the software, make a design, save it on your flash drive and bring it to the Fort Wayne Museum of Art on October 30th! What a great opportunity for these avid students!